To comply with recent website upgrades & enhanced security features, if your account was created before 14 Feb 2018, please reset your password in order to log in again. 1.1 Each order placed shall be governed by the present General Conditions of Sale and subject to particular conditions applicable to orders placed via the Internet or in a NESPRESSO Boutique. 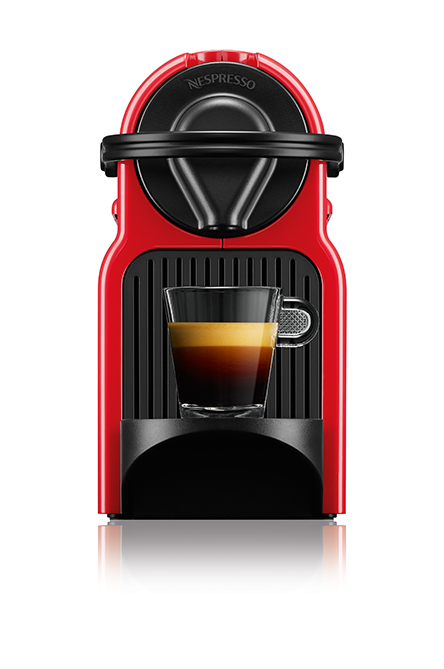 1.2 NESPRESSO reserves the right to modify the present General Conditions of Sale at any time by publishing a new version. 2.3 NESPRESSO offers its products within the limits of its available stocks. 2.4 NESPRESSO reserves the right to refuse orders, notably in case of unpaid invoices or insolvency. 3.3 Risk of loss and damage in goods passes to you on delivery. 4.1 It is your responsibility to verify the quantity and condition of the goods upon receipt and, in case of on-arrival damage or missing items, to notify and file claim with NESPRESSO within 7 days of receipt (retaining all relevant invoice and signed delivery notes). 4.2 NESPRESSO shall in such circumstances provide you with identical replacement goods or a full refund where requested. 5.2 NESPRESSO will only accept such returns for goods in perfect condition, in their original packaging, and accompanied by the applicable invoice. Subject to the above, NESPRESSO will reimburse you the price paid for the returned goods and the invoiced delivery charges within a maximum of 30 days after receipt of the returned goods. The return postage will be at your charge. 6.1 The prices invoiced for the goods you order are those in effect on the date you place your order. 8.1 The NESPRESSO machines are guaranteed by the manufacturers pursuant to the specific terms and conditions listed in the original product documentation and such guarantee is without prejudice to any of your statutory consumer rights. 8.2 For any question concerning the operation, maintenance and after-sales service of your NESPRESSO machine, please contact NESPRESSO by telephone for advice and assistance. 9.2 As per applicable law, you have the right to access and rectify personal data concerning you by writing to NESPRESSO using CONTACT US that is available on the website. 10.1 The present General Conditions of Sales are governed by the country law. 10.2 The courts have exclusive jurisdiction.